Fight 2 Win Now Features Professional Judo, Will Use Old-School Rules! With a ruleset true to the art's fighting roots, Fight 2 Win will give judo athletes the "rockstar" experience starting in February 2019! Alongside Fight 2 Win's winning recipe of jiu-jitsu and no-gi grappling, fans will be able to enjoy watching high-impact judo matches featuring world-class black belts and national talent. Starting at Fight 2 Win 101 in Denver, CO on February 8, you can expect to see judo become a regular offering throughout 2019. Kicking things off will be a match between U.S judo Olympian Ryan Reser and former member of the Mexican national judo team, Javier Torres. Reser represented the U.S.A at the 2008 Olympics, and was a gold medalist at the 2007 Pan American Games at -73kg. Torres is now an active MMA fighter and Bellator veteran and a black belt in both judo and jiu-jitsu. Fight 2 Win CEO Seth Daniels– a judo and jiu-jitsu black belt himself– explained his reason for picking Reser for judo's debut on the F2W stage. "I wanted an Olympian in the first match– his judo is old school judo, it's like watching an artist paint a masterpiece. He quit judo when they took out leg grabs– he has an amazing kata guruma and leg picks, flawless techniques." 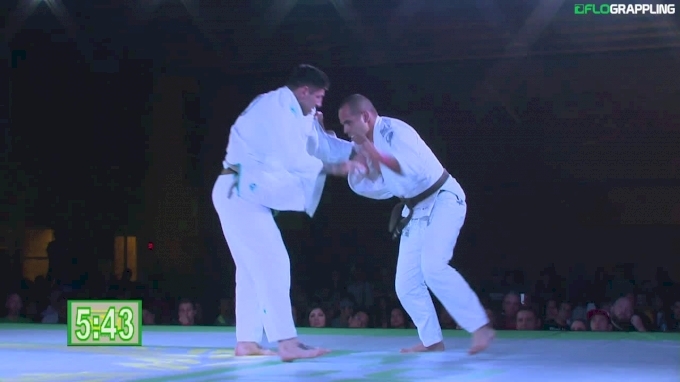 Making sure to pick somebody that Reser had never faced on the judo circuit, F2W veteran Torres presented himself as the perfect opponent. "I like the idea that Ryan's judo will be better, but this guy will be in way better shape and his ground game will be awesome." As a lifelong judo practitioner, Daniels decided to reintroduce some of the popular judo techniques that were removed by the International Judo Federation. First person to 2 ippons (via throw) wins, or a submission at any time ends the bout. Daniels hopes that introducing this version of judo– which closely resembles the old-school judo before Olympic intervention removed popular techniques– will have a positive effect on there current state of both judo and jiu-jitsu. "If we changed the rules as we did with jiu-jitsu– just make it slams and submissions– my crowd is going to love it," he says. "I think this can change the perception of judo and bring it into this century." Daniels wants to give judo athletes the "rock star" experience that comes with appearing on the F2W stage, and says he has received messages from interested judoka from all over the world. Applicants for judo matches on Fight 2 Win can register interest via the F2W website. Adults must be a judo blackbelt to qualify, while kids / teens must be a national champion.